You're Killing Me from Wolfe Video on Vimeo. A gay mixture of "Dexter" and "Gilmore Girls" blending witty banter, pop culture references and good old-fashioned murder! George, a narcissistic wannabe internet star, starts dating Joe, a monotone serial killer. While all of George’s friends agree that Joe seems a bit strange, George claims his new beau "isn’t scary, he’s gorgeous." But as George’s friends start to disappear, the remaining group decides to take matters into their own hands. 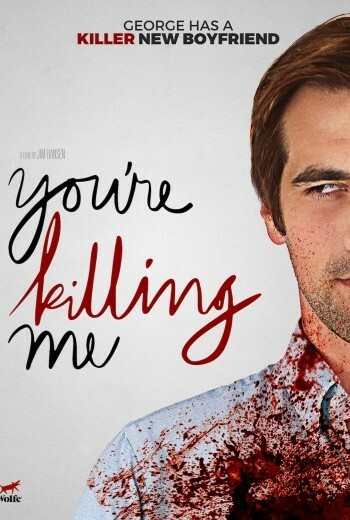 ScreenPrism spoke with director-writer Jim Hansen and writer-actor Jeffery Self about their campy horror rom-com film, "You're Killing Me."